Climbed on September 23, 2008. How to get there: From Boston, follow Interstate I-93 north. Continue to North Woodstock, exit 32, where Hwy. 112 runs across. Do not exit, continue north on I-93 another 7.5 miles. You will pass exit 34A, then another trailhead called "The Basin". A bit further north, there is a new exit, the signs says "Trailhead Parking". Exit here, this is the trailhead. The location is N44:08.528, W071:40.871, elevation about 555 meter. This trailhead is called Lafayette Place, there is a large parking lot as well as information signs. Route description: This hike is best done as a roundtrip, both directions are possible, perhaps best to do it counter clockwise as described here. Hike a short section to the creek where the trail forks. Across the bridge is Falling Waters Trail, while the left fork is Old Bridle Path that first climbs to the Greenleaf Hut. The Falling Waters Trail first heads over to a second creek, then runs up along it, crossing it several times. There are several small water falls along the way. The trail continues to climb also after leaving the creek and finally tops out on Little Haystack Mountain. This is really not a mountain, but rather a point along the main ridge. The Appalachian trail runs along this beautiful high ridge. The location is N44:08.431, W071:38.752, elevation 1457 meter. Turn north along the very nice ridge and climb the distinct summit ahead. This is Mount Lincoln, 1551 meter, at location N44:08.932, W071:38.672. 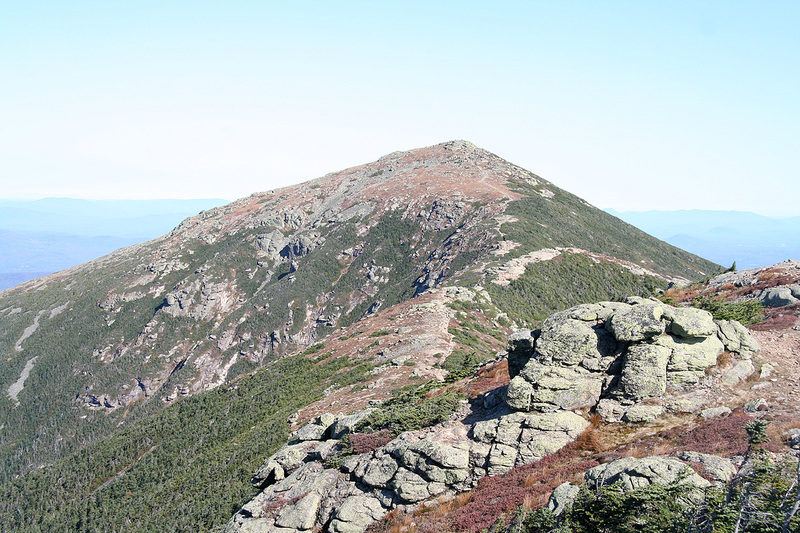 This peak has only 56 meter of prominence relative to its parent, Mount Lafayette, even further north. The trail continues along the top ridge to the summit of Mount Lafayette. 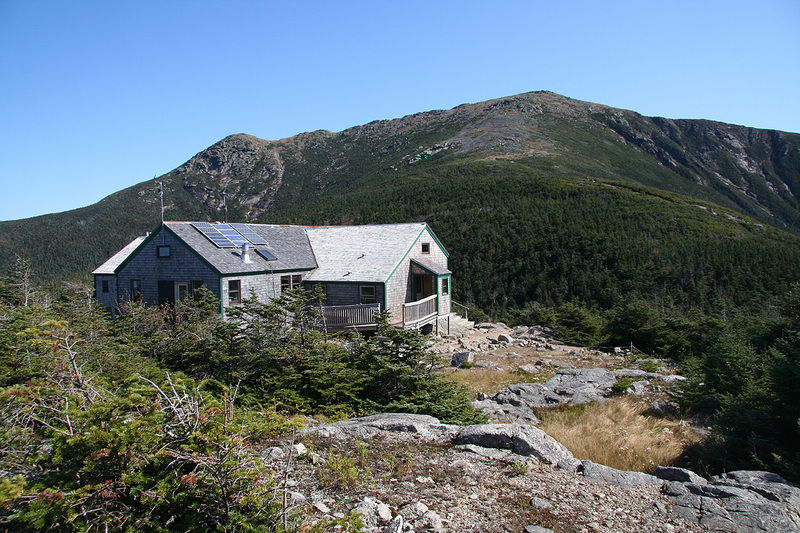 From Mount Lafayette, descend west to the Greenleaf Hut. This hut is easy to see from the summit. Take the Old Bridle Path (the leftmost trail!) from the hut in order to descend back to your trailhead. This route is quite scenic as it follows an arched ridge back down to your point of departure. 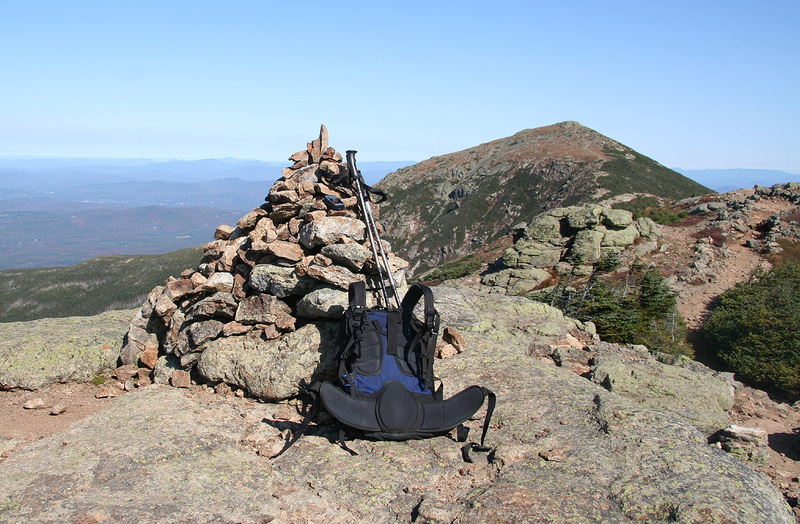 Comments: After climbing Mount Washington, I had decided to try climbing Mount Lafayette on my way back to Boston. My flight back to Europe left in the evening, therefore this hike should not be too long. A quick look at the map seemed to indicate that this mountain was the highest in the area if one excludes the summits that are in the same group as Mount Washington, the Presidental Range. I left Pinkham Notch after having a rather delicious breakfast and arrived at the trailhead around 0800. I started hiking at 0810 and kept a reasonable pace up the Falling Water trail, arriving at Little Haystack Mountain at 0945. I rested for 15 minutes while enjoying the perfect weather. Today was really by far the best day. The car had a layer of ice on the windshield this morning, a sign of fall, but the day quickly warmed up with a cloudless sky. I was hiking in shorts and a wool shirt, just right up this long hill. The ridge trail (a very scenic part of the Appalachien Trail) looked very attractive and I strolled along at a leisurely pace. Several groups of "AT hikers" were already coming in the opposite direction. I paused briefly at the top of Mount Lincoln, too bad its connecting saddle with Mount Lafayette only drops about 56 meter. It seemed clear that the Colorado 300 feet prominence criteria is not used here in the White Mountains, also in the Presidental Range many peaks have rather shallow saddles. I arrived on top of Mount Lafayette at 1100 and sat down in the warm sun. 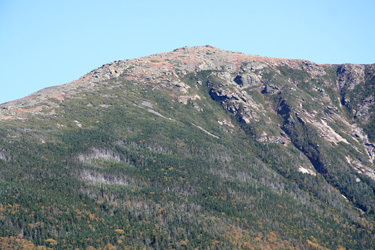 The summit of Mount Washington was clearly visible with its human structures. The summit area had several cairns, but none on the highest point. Similarly, there were several USGS benchmarks, but they were all lower than the highest rock. At 1130, I started the descent towards the Greenleaf Hut. The Old Bridle Path continued down the arched ridge, sometimes with a very good view back up to the peaks above. I reached the trailhead at 1330 after a very nice loop hike. This concluded my visit in New England, the drive back to Boston and my flight to Edinburgh still remaining on a day that really showed off how nice the White Mountains can be in mid September. 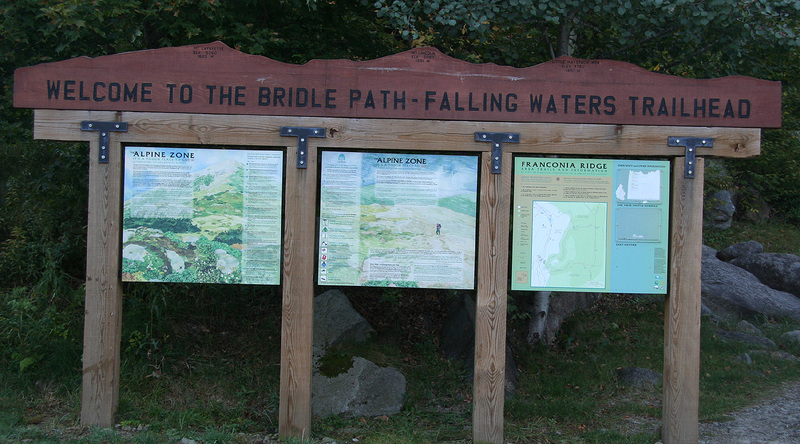 The trailhead, located directly off I-93. 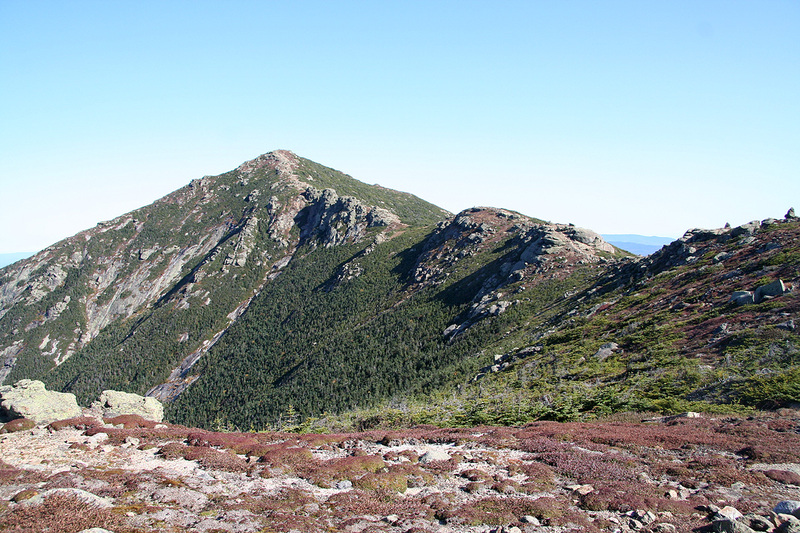 Mount Lincoln, as seen from Little Haystack Mountain. The cairn on Mount Lincoln. 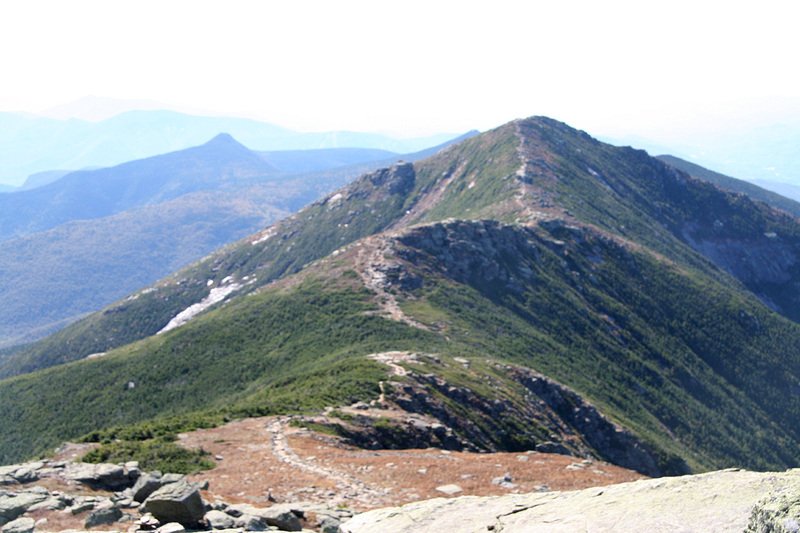 Mount Lafayette, as seen from Mount Lincoln. 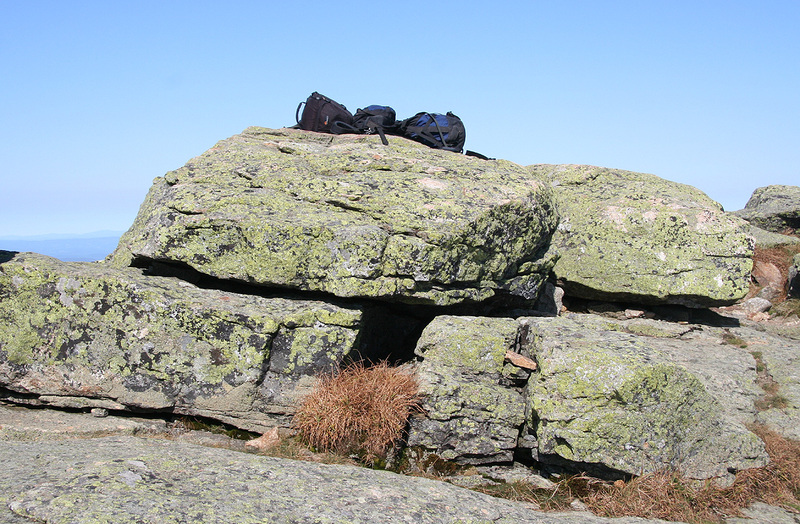 The summit of Mount Lafayette, there is no cain (here). The ridge leading to Mount Lincoln. 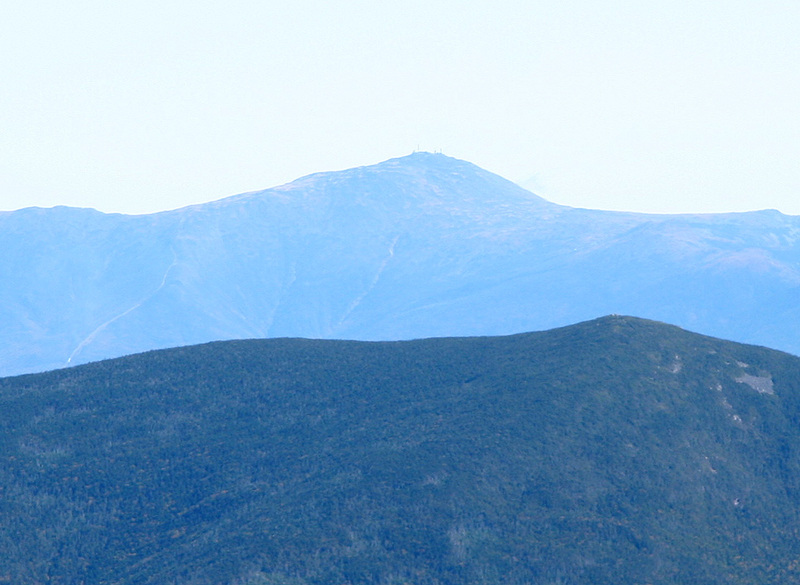 Mount Washington, as seen from Mount Lafayette. 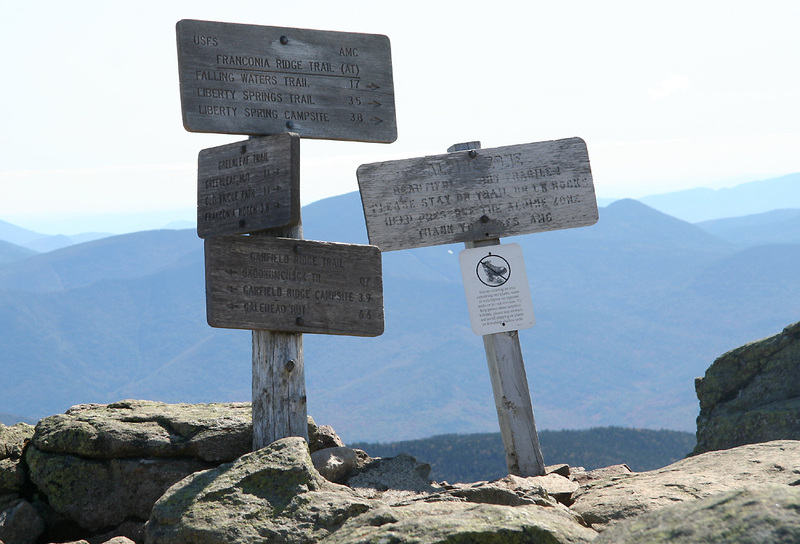 Trail signs, on top of Mount Lafayette. The Greenleaf hut, located along my descent trail. Mount Lafayette and Mount Lincoln as seen while descending.